Lundberg Studios 1990 "Apple Blossoms" paperweight, by Daniel Salazar. 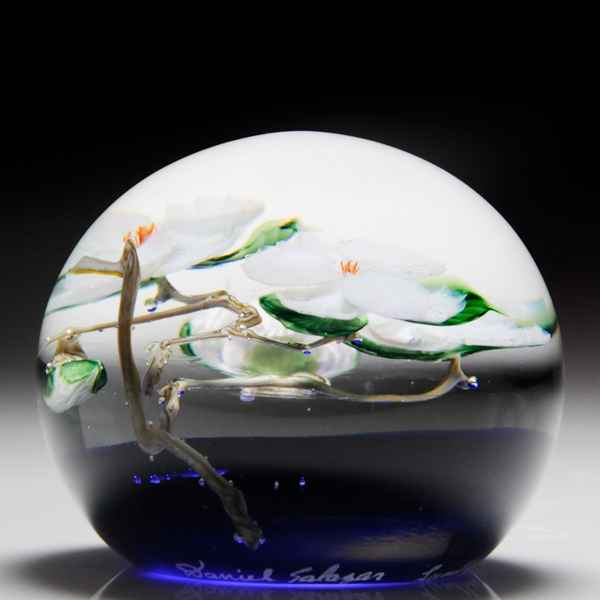 Three delicate white apple blossoms, each with translucent variegations and bright orange stamen clusters, share a gnarled branch with two compact buds and an array of green, scalloped leaves, over translucent cobalt blue ground. Signed/dated. Diameter 2 3/4".